If you're a fan of threaded bottom brackets, you haven't had much choice recently as frame manufacturers have embraced oversized bottom brackets for aerodynamics, frame and spindle stiffness, and yes aesthetics. Press fit seems like a step backwards to me - I hate squeaks, and I don't want to buy another set of tools for every BB "standard" out there, I want my cranksets to be interchangeable, plus the tolerance issues. It's one of the reasons I've been reluctant to upgrade from my old English threaded/BSA BB frames with SRAM GXP external bearings. If you have a metal frame or metal PF30 shell of sufficient thickness, you should be able to tap it to accept the T47 - but it will have to be done very carefully to ensure proper alignment. So, now there's a new BB to add to the list: English threaded / BSA, Italian threaded, BB30, PF30, BB386EVO, BBRight, ThreadFit 82.5, BB86/92, BB90/95, and variants thereof. Will T47 become a standard? One can only hope. The new system is launching February 2016 at the North American Handmade Bicycle Show in Sacramento, so hopefully other manufacturers will jump on board next year - if this catches on, I will definitely be looking at the new frame options. Ben Farver on the thinking behind the new T47: "The PF30 is convenient to build a frame around allowing customers to use any crank on the market. The issue, however, is with a press fit system, you have to hold a super tight tolerance in both the frame and bottom bracket. Often these tolerances work against each other. All in all, a PressFit system is the wrong style of engagement in a bottom bracket. Threads are really the way to go, but a larger bearing is still ideal. The traditional threaded BSA is great from a durability standpoint, but it limits a customer’s crank options. As a frame manufacturer I don’t want to have to talk someone into buying one of my bikes while at the same time talking them out of a crank they might want to use. My production manager and I were talking about all the challenges of PF30 one day, and thought, why don’t we just make a new standard that solves both problems? 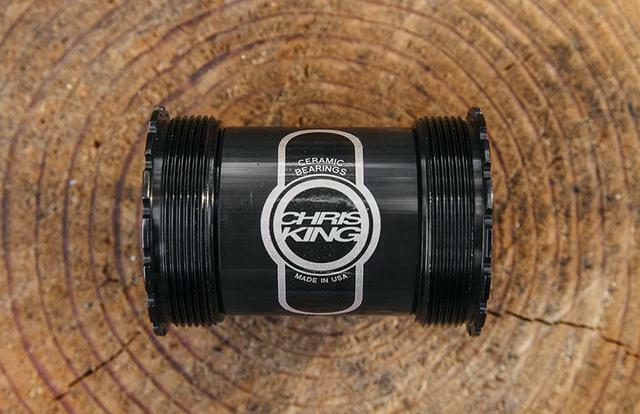 I called Jay Sycip, who runs the Cielo arm of Chris King, and we discussed the true consumer benefit of creating a threaded spec that leverages the larger bearing used in the PF30. We agreed that it would yield a much higher interface success rate, and more importantly, a better ride. So, this project is an attempt to solve a problem the entire bike industry is suffering from, and lead the way to a better, lasting standard." Update on the state of T47 adoption in the bike industry, what T47 is, what it solves, and why pressfit was adopted in the first place. Too many riders with press-fit bottom brackets are all too familiar with that irritating sound, emanating from down below and repeating itself at 90rpm every time you head out for a spin. 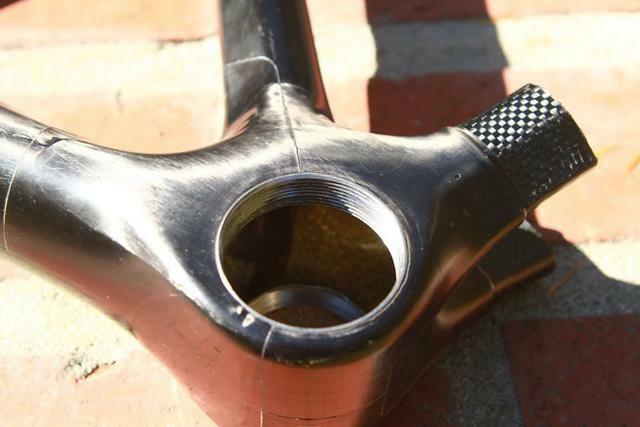 While press-fit systems can (and often do) perform flawlessly, horror stories abound with tales of ruined frames, cups permanently secured with two-part epoxy adhesives, and annoying sounds that just won’t go away no matter what. 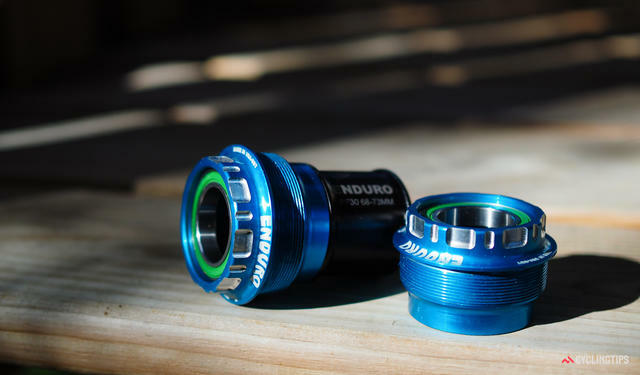 T47, on the other hand, is a new threaded bottom bracket system introduced last November that uses a standard 68mm shell width, but a oversized 47mm internal diameter. The threaded interface decreases the incidence of creaking and eases at-home maintenance, and the wide range of available cup options makes it compatible with virtually every crankset on the market — including narrow-format BB/PF30.